Please type your desired tags, e.g. Communication Sciences and Disorders, Pathobiology, Medicinal, Systems Engineering, Single Cell Genomics, lncRNA biology, Acounting, Romantic Relationships, Conflict Management, Gender Equity, Marriage, Communication, Identity and Selfhood, Hermeneutics, Aesthetics, and etc. Two UT Dallas faculty members recently earned National Science Foundation Faculty Early Career Development (CAREER) Awards. 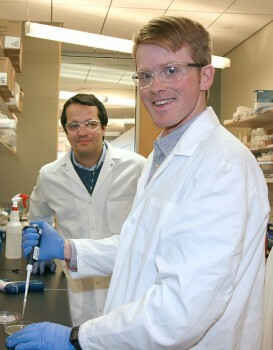 Dr. Anton Malko, assistant professor of physics, and Dr. Leonidas Bleris, assistant professor of bioengineering, will each receive $400,000 in funding for five years of research into areas of renewable energy and genome editing technologies, respectively. Malko’s award will advance his research in the development of new hybrid materials that could offer a versatile platform for optoelectronic applications. In particular, they show promise for the next generation of photovoltaic solar cells that will harness sunlight for use as an ecofriendly and renewable energy-generating technology. 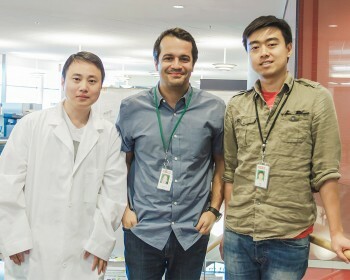 Bioengineers from the Erik Jonsson School of Engineering and Computer Science at UT Dallas have shed light on the mysteries of biological pathways. The findings, which were published in the journal Proceedings of the National Academy of Sciences (PNAS), could affect a wide range of applications relevant to public health and therapeutics. In the article, “Discriminating Direct and Indirect Connectivities in Biological Networks,” the team of researchers shows that the integration of engineering, mathematics and synthetic biology can lead to new insights on the properties of biological networks. 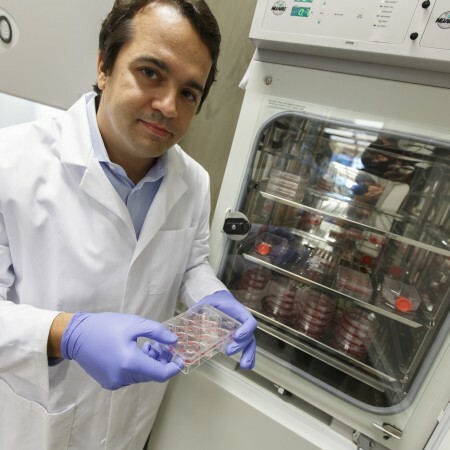 Bioengineers at The University of Texas at Dallas have created a novel gene-delivery system that shuttles a gene into a cell, but only for a temporary stay, providing a potential new gene-therapy strategy for treating disease.